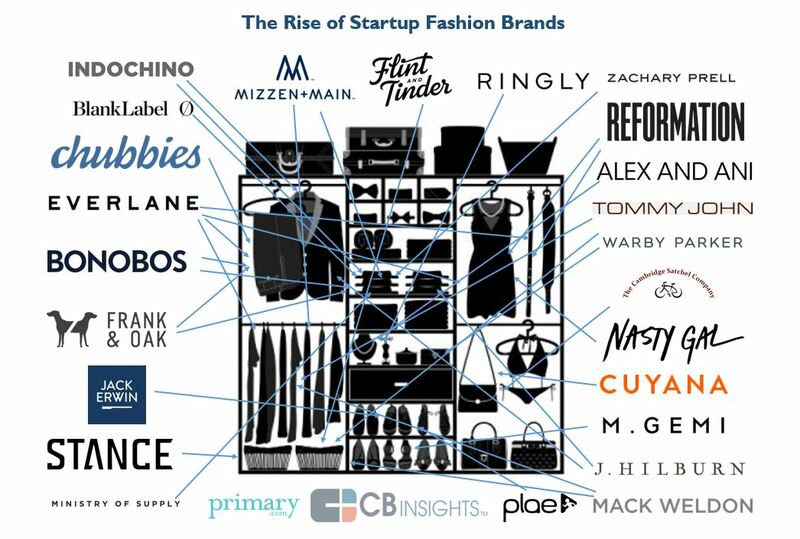 25 Startups Building Their Own Fashion Brands | What's The Big Data? ← How Much Data is Generated Every Minute? Funding to startup fashion brands has gone from under $25M in 2010 to over $235M in 2015 year-to-date. Many of these startups are hoping to create new lifestyle brands by leveraging technology and data to manage supply chains and inventory, or even inform product decisions. These aren’t necessarily online-only outfits: several brands sell their products on the web and in brick-and-mortar locations.